Effective June 11, 2017, the Office of the President of the Federal Republic of Germany has agreed to suspend the Presidential signature required for formal ratification of the Unified Patent Court (UPC) Agreement. This suspension will remain in place until the German Federal Constitutional Court (“Bundesverfassungsgericht”) has reached a decision in the ongoing expedited proceedings relating to an action (“Verfassungsbeschwerde”) challenging the ratification. A spokesperson of the Court responded to a request for comment by orally confirming that the suspension was agreed to by the Office upon request by the judge rapporteur in the proceedings, pending before the Court under the docket no. 2 BVR 739/17. She emphasized that this type of cooperation was as such not unusual between the two bodies. The spokesperson also pointed out that no formal decision “against” the UPC Agreement had been reached by the Court. Rather, the measure is merely a means for postponing ratification in order to give the Court sufficient time to reach a verdict. As a result of its informal nature, there is no public account of the “decision” itself currently available, let alone of any written grounds for the Court making it. The challenge in question dates from the end of April of this year and was accompanied by a request for expedited review and, potentially, preliminary measures to be taken by the Court. The judge rapporteur, upon preliminary review of the admissibility and merits of the action, apparently found it to be “not obviously unfounded”. This preliminary test does not legally anticipate an ulterior actual decision on the substance of the matter, but is applied upon summary initial review of the challenge in question (for the time being typically only by the judge rapporteur and not by the full Senate). Further details in particular on the nature and content of the underlying constitutional challenge were not disclosed by the Court. Currently, there are a number of such challenges relating to the UPC Agreement and to the European Patent Convention (EPC) pending with the German Federal Constitutional Court. Some of these invoke the much-discussed concerns of potential deficiencies in the European Patent Office Boards of Appeals’ judicial independence. However, the proceedings in matters 2 BVR 739/17 appear not to pertain to this particular issue. Rather, some sources believe that they relate to a formal issue of the legislative process, and namely an alleged failure to respect the qualified quorum of a 2/3 majority in the German Bundestag (the national Parliament of the Federal Republic of Germany) when voting on the ratification bills. The according constitutional argument would be based on the presumption that the 2/3 majority was necessary given the nature of the relevant laws as acts that would transfer elements of national sovereignty away from the German state. The German Bundestag had adopted the laws in simple-majority voting. The spokesperson was unable to specify a date upon which the Court’s decision will become available, instead confirming in more general terms that the proceedings were receiving the “expedited treatment warranted by the urgency of the matter, of which the Court is well aware”. As a result, it is currently unclear how long a potential delay of the ratification process may take. Typically, decisions under the expedited regime take from only a few weeks to several months. Ratification inter alia by Germany is required in order for the UPC Agreement to come into effect. Under the current planning, the German ratification would need to be deposited in September if the Court is going to open on the 1st of January of 2018. The formal entry-into-force of the UPC has of course been delayed several times before, most notably as a result of the intermediate uncertainty surrounding the intervention of “Brexit” (the United Kingdom’s decision to part ways with the European Union). 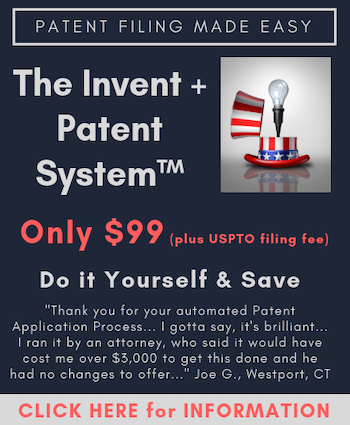 While a potential further delay is unlikely to threaten the system as such, many practitioners see industry-acceptance – the system gaining the trust of patentees, who would then choose not to “opt out” their patents and use the newly established Court for bringing infringement actions – as paramount to the project’s long-term success. In this light, the Court’s decision to preemptively stay ratification now in order to deal with a pending challenge before the official entry-into-force of the system may indeed seem a very prudent one. We will continue to report on any further developments of the situation – and in particular any formal decision by the Constitutional Court, once available. Matthias Weiden is an attorney at Bird & Bird LLP and based in Düsseldorf. A member of the firm’s Intellectual Property practice and Tech & Comms sector groups, he focuses on advising international clients in patent and utility model litigation in particular relating to the fields of information and telecommunications technology. He also advises on related questions of competition law and the European and German FRAND framework, and speaks on these issues at national and international events. For more information or to contact Matthias, please visit his Firm Profile Page.